Queen Composter reflects upon the impact being green has had upon her life. Following a green path has led me to realize that perfectionism is not possible when being eco-conscious, or at least perfectionism as society sees it. There’s a product for every little problem in life and companies say these products will make life easier, faster, more organized, cleaner. Commercials promise perfection, often with a “money back guarantee.” I cannot count the number of times in my life that I have been duped into buying something because of the promise of perfection – the promise that something will transform my life. Being green means letting go of perfectionism. The way I do things may not be quick and easy, look the best, or even look like the way other people do things, and that is ok. I am making changes to improve the health of our planet and all the plants and animals that live here, including myself. Being green also means letting go of convenience. If I am short on time and a product makes my life a little easier, my life is a little more “perfect” because I do not have to compromise anything. But being green means making compromises, prioritizing what is important and letting go of that which is not. Except for toilet paper, we have eliminated single use disposable products from our home and from our life as much as we can, which means more washing and laundry. My garden isn’t picture perfect because I use organic and homemade pesticides that don’t always work as well as commercial chemical ones. 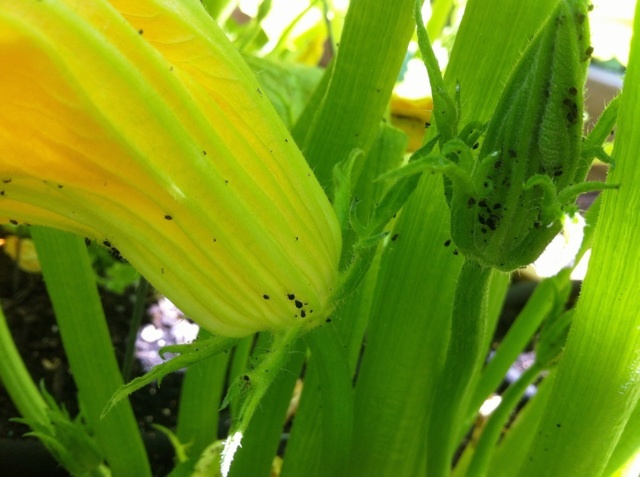 If I'm not vigilant the aphids start to take over. I am a very sweaty person and this causes me anxiety, thereby increasing the problem, but I am working on accepting that and going antiperspirant free. 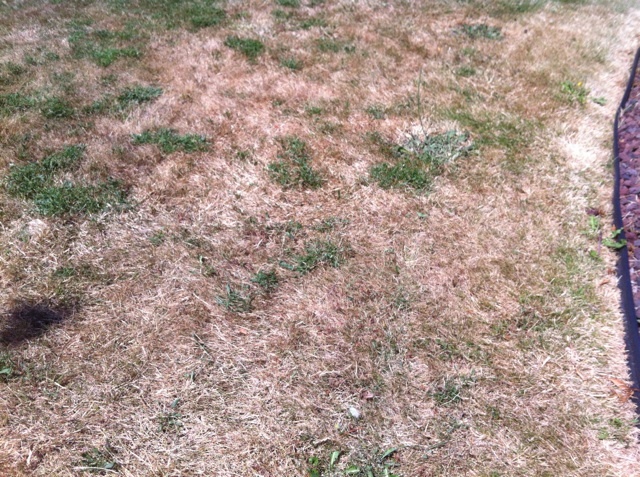 My lawn is ugly and brown through the hot summer months because I don’t waste water on it. Aside from the fact that we can’t afford it right now, we are not replacing our old sectional couch because it is still useable. It may not look the best but it will do. 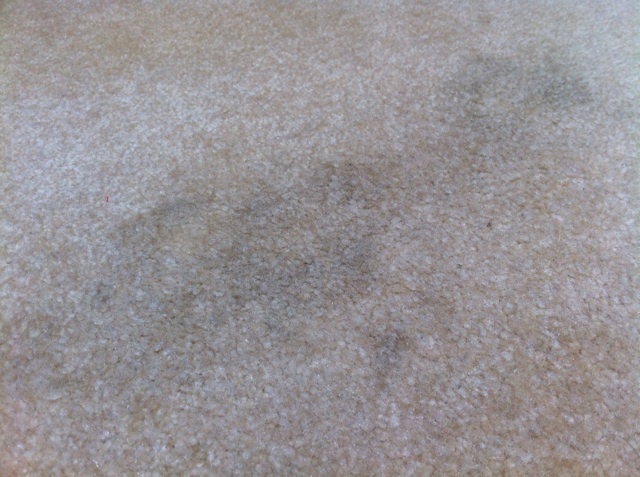 My carpet is covered in polka dot stains from kids and cats, and while I am able to remove the smell in environmentally safe ways, I have yet to find an eco way to completely remove the mark. not come out of my carpet. In the cooler rainy months my laundry hangs to dry all over my home, which looks interesting. We strive to be the best we can be and we feel the need to apologize when things aren’t perfect. Recently someone said to me that she admires how I don’t feel the need to have a perfect house or yard, because when she was raising her now grown children she felt like she spent too much time worrying about what people thought and keeping everything together. I must admit that at the time I took it as a backhanded compliment and I felt slightly judged because she was commenting on the fact that I wasn’t perfect. I have spent a great deal of time in my backyard this spring and summer working on my garden, and I have been making mental notes of things I want to improve. One of the many areas that I do not like is a space under a magnolia tree in the back corner. It looks like a big dirt pit with buckets and boards strewn about. In my mind I can see a calming area with lush plants and restful stones. This photo actually makes the dirt pit look nicer than it is in person. But I decided to look at the space with new eyes, and now I see it as a place where my children are free to explore, climb, dig, create and play. Because it isn’t perfect I have no fear of them “ruining” it. 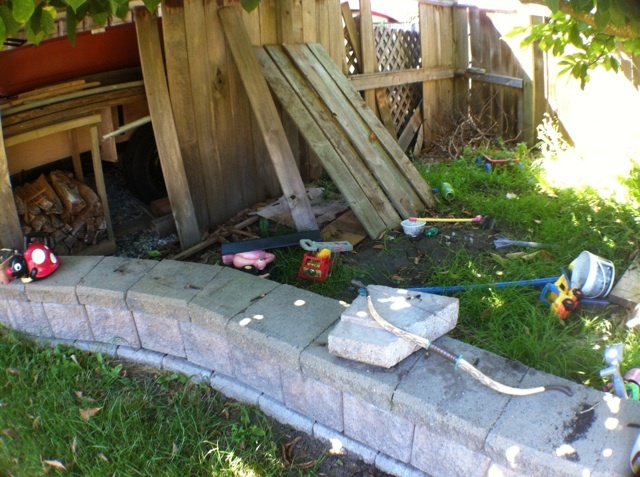 The fence is falling down, but for now the broken boards are a fort. An old dirty birdhouse has become the beginning of their fairy garden. When they come in at the end of the day their feet are black with dirt, their clothes are stained and they are happy. Being green requires a change in thinking almost more than a change of habit. Yes, it is important to make change easy so that people will do it and make it a part of their everyday life. But if they are still attempting to achieve perfectionism they will never make being more green a way of life. I've had very good luck cleaning my carpets with a rented Rug Doctor from the grocery store, and then using a mixture of about 1/4 cup borax, 1 cup of vinegar, and a scoop of Charlie's Soap or a tablespoon of dish washing liquid to 2 gallons of super hot water. I then go back and do a second pass over the carpets with just hot water with a little vinegar to make sure I get out all the soap residue. i think this is fantastic! and yes, being eco-friendly definitely is more time consuming. i think, though, that you are so much more self-reliant and self-sufficient! Thanks for the cleaning solution suggestion, De. Actually, the stain in the photo is after using a carpet cleaner. We bought our own after a few too many bad sessions of stomach flu in our family (cheaper than continually renting one) and I have used environmentally safe products, but I haven't tried your mixture. Thanks Eco Yogini. I considered mentioning that I also need to let go of eco-perfectionism, which is becoming my new issue. The more I read and learn and try I find there is always something I could do better, or things I thought were eco and I find that I have been mistaken. It can be exhausting, but I should cut myself some slack. I definitely think that living green requires letting go of perfectionism. You are right! We don't have to have the greenest lawn on the block or the nicest couch or the newest outfit. That stuff is all pushed upon us by society. Letting go in and of itself makes life greener. A less environmentally-friendly cleaning product may be a worthwhile trade-off if you can use it less often and with less water. That goes for paper towels too.